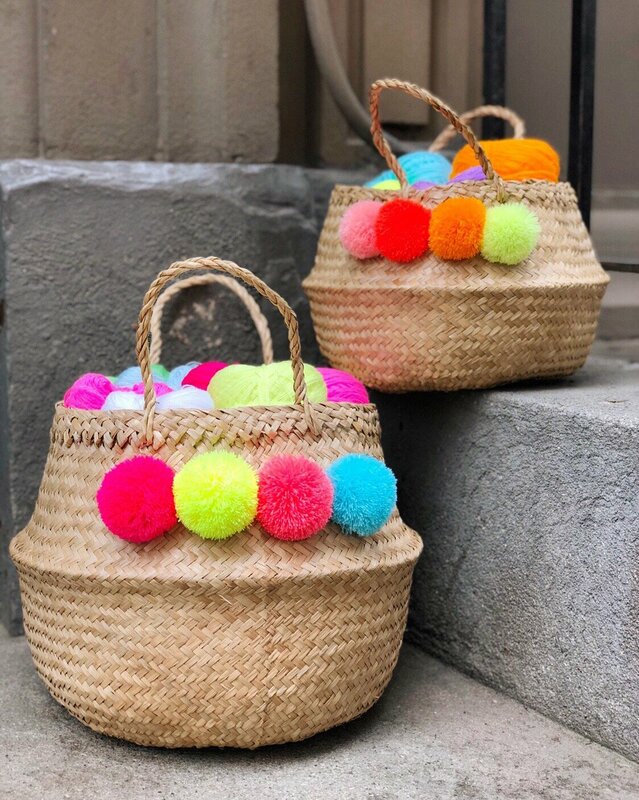 Pom pom baskets are all the rage and these seagrass “belly” baskets are our go-to for everything from storing yarn to holding large plants to toting all the things to the beach! 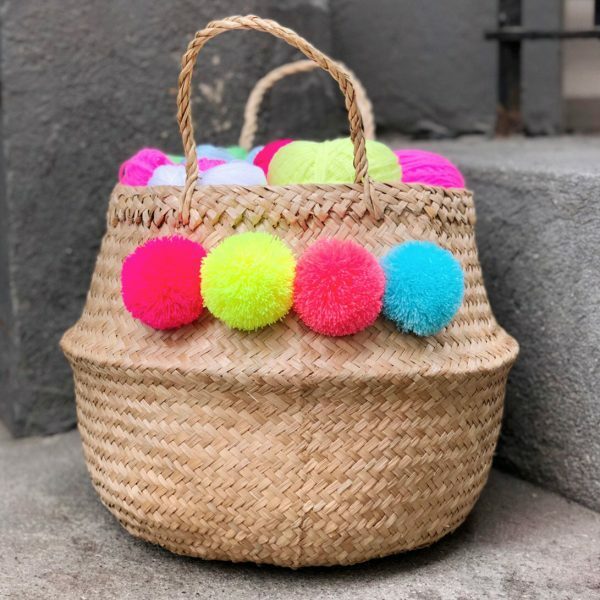 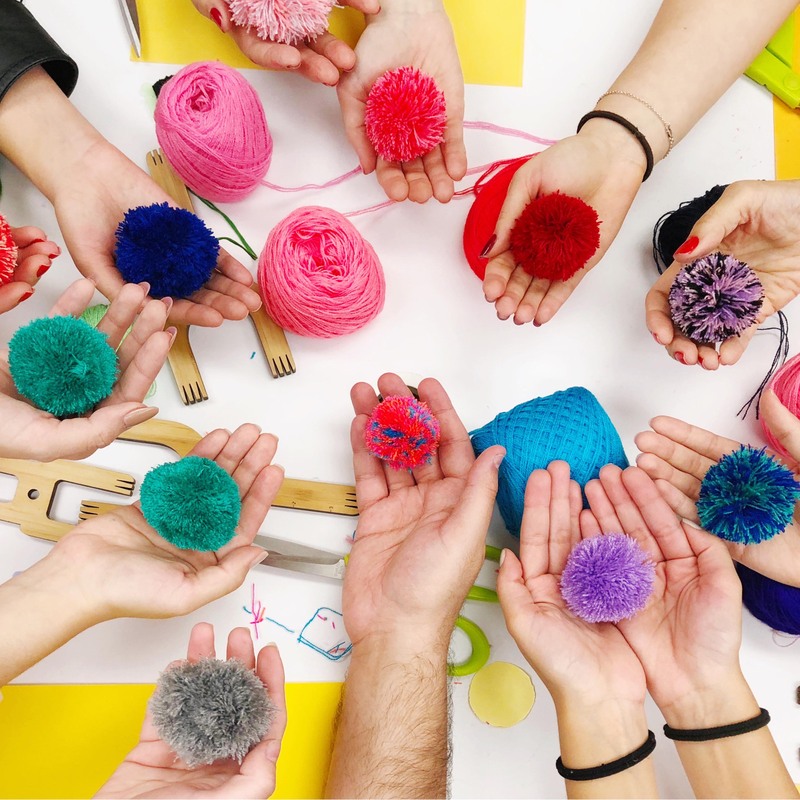 In this two-hour workshop, learn how to make plump, colorful poms using our favorite Mexican acrylic yarn, then attach them to medium-sized collapsable seagrass belly baskets. The ideal accessory or decor item in time for summer, or the perfect handmade Mother’s Day gift for those mamas / mama-figures in your life!